Update: The Government has officially published its plan for tackling roadside nitrogen dioxide concentrations, giving us a better understanding of its plan, including timings and figures. We have now amended this story to reflect this new information. The UK Government has announced that it is planning to ban the sale of petrol and diesel vehicles by 2040. The move comes as a part of its policy to tackle the rising levels of air pollution, and the adverse effect that this is having on the health of citizens. 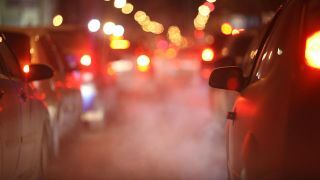 Alongside the plan to ban the sale of petrol and diesel cars are possible plans for Clean Air Zones (CAZs) that would charge users to enter if their car doesn't meet emission standards, retrofitting public vehicles, and upgrades of road infrastructure. According to a paper published in 2016 by the Royal College of Physicians, pollution causes at least 40,000 deaths per year in the UK. The Government’s estimates but the economic strain of air pollution at £27.5 billion a year. The full paper was published Wednesday 26 July, with the opening statement: "We pledge to be the first generation to leave the environment in a better state than we inherited it." A big pledge indeed. There are a number of things that you need to know about how this policy is going to affect you, so here we’re going to round up the essential information. If the policy is successfully implemented, the sale of all new petrol and diesel cars will be banned from 2040. According to the report, this is a doubling-down on the 2011 announcement that the Government intended "that conventional car and van sales would end by 2040, and for almost every car and van on the road to be a zero emission vehicle by 2050". The new policy is a push to move entirely towards ultra low emission vehicles (ULEVs). This includes hybrid vehicles, so you won’t be able to purchase any vehicle that gains even part of its power from a combustion engine. This is only going to affect the sale of new cars, so if you are still in possession of a petrol of diesel car at this stage, you will still be able to sell your car on. Don’t worry, this policy is not banning the ownership of petrol and diesel cars, so if your car that you currently own is still running by some miracle in 2040, it won’t suddenly become illegal. There is expected to be a targeted scrappage scheme, so there is the possibility that you will be financially incentivised to make the switch to an electric vehicle. According to the report, the scheme will focus on "certain groups of drivers who most need support (such as those on lower incomes or those living in the immediate vicinity of a Clean Air Zone)". It is currently unclear whether there will be a point where it will be completely illegal to drive a car containing a combustion engine. When you think about the lifespan of a current car, 2040 does seem quite far off. There is every possibility that by that date, the adoption of electric vehicles will already be fairly widespread so there isn’t a sudden shift. So by implementing a ‘cut-off’, it could help to direct the market towards the cleaner vehicles. It’s actually a relatively conservative timeline, considering that some major manufacturers have already indicated their intentions to move towards this future before 2040. Volvo, for example, is already planning to go all-electric as early as 2019 (although that does include hybrid vehicles). 2040 is also significant as it’s the year that France has set for the exact same policy. Norway, by contrast has set a target of 2025. Other countries that seem to be mulling the idea of a phase-out policy are India, Germany and The Netherlands. "It is vital that action is taken in the shortest time possible to improve air quality in those areas where air pollution is above legal limits. The government has previously said that relevant local authorities will have up to 18 months to produce their plans. In order to inject additional urgency into this process, we will now require local authorities to set out initial plans 8 months from now, by the end of March 2018." If you’re thinking that there aren’t currently enough charging stations for all the new electric cars that are going to be on the road, the Government is planning on investing £100 million into the UK’s charging infrastructure, so expect to see more of the charging stations popping up. The Automated and Electric Vehicles bill will enable the government to "require the installation of charge points for electric vehicles at motorway service areas and large fuel retailers, and to make it even easier to use electric vehicle chargepoints across the UK". It is however worth noting that research conducted by the RAC Foundation suggests that the average car journey length in the UK is between 7 and 12 miles, which is well within the range of most electric vehicles. There is also funding going into retrofitting old vehicles like busses and other public transport, along with schemes to improve road layouts, and reprogramming traffic lights to reduce traffic, and, therefore, emissions. While the government is currently incentivising people into buying an electric car, as the tide turns and more people have electric cars, there is the possibility of charging those that are not adhering to the change. There have been calls for areas that are most at risk like big cities to have zones that you have to pay a charge to enter. There is already a policy being introduced in London, called the T-charge, that means vehicles have to meet a minimum emission standard to drive within a set area, or else pay a £10 emission surcharge. As we hear more about this policy and what it will mean for car owners, we’ll let you know. £290 million - National Productivity Investment Fund. Includes £60 million for new buses, £40 million for bus retrofits, and £50 million for a Plug In Taxi programme. £11 million - Air Quality Grant. A grant for local authorities to improve air quality. £89 million - Green Bus Fund. A fund to "help bus companies and local authorities in England to put over 1,200 new low carbon buses on the road"
£1.2 billion - Cycling and walking. According to the Cycling and Walking Investment Strategy published in April 2017, the Governemnt estimates £1.2 billion may be spent on cycling and walking from 2016-2021. £100 million - National road network. "Through the Road Investment Strategy, the UK government has allocated a ring-fenced £100 million for an Air Quality Fund available through to 2021 for Highways England to help improve air quality on its network."